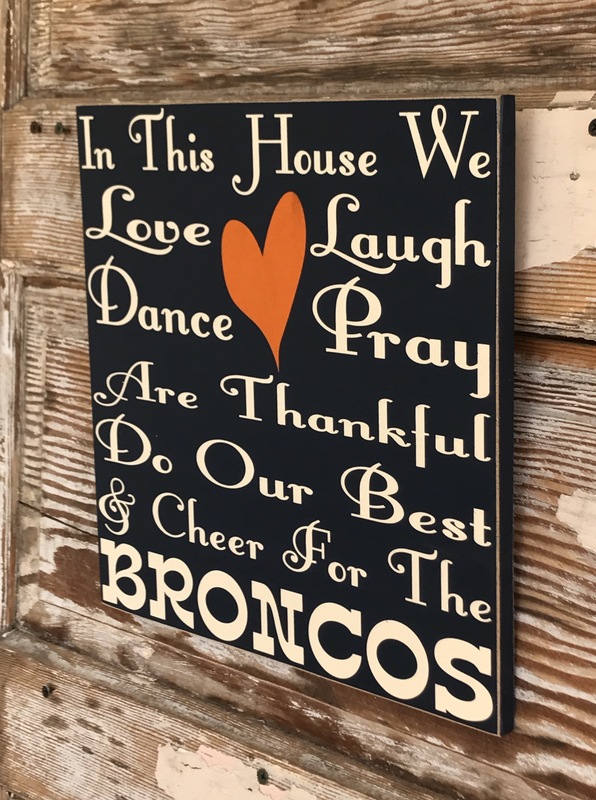 In This House We Love, Laugh, Dance, Pray, Are Thankful, Do Our Best & Cheer For The Broncos. 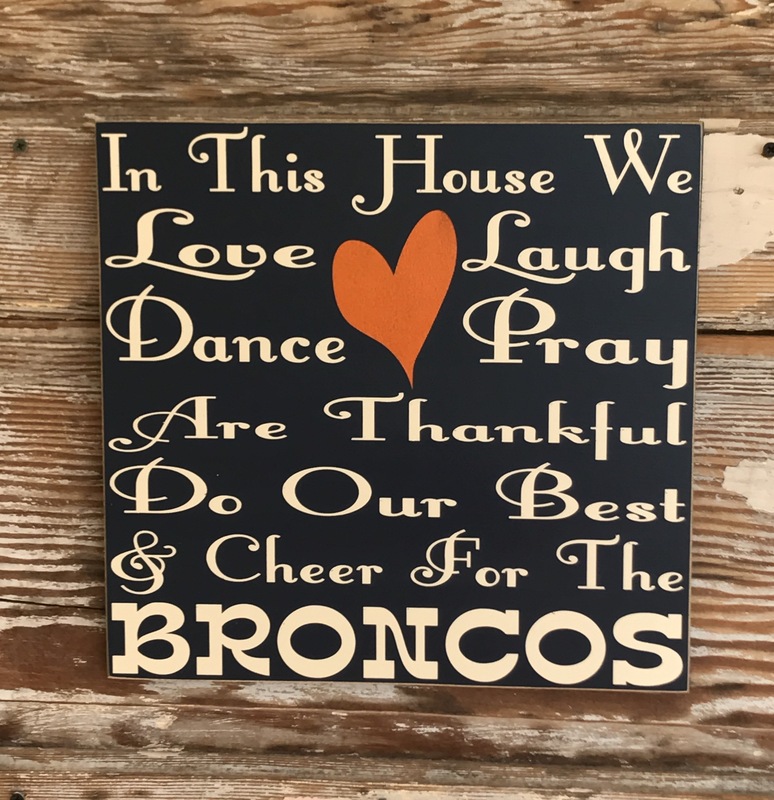 Great addition for any Denver Broncos Fan! As Pictured, Navy sign with Off White lettering & Orange Heart. This was a gift -she loved it! Thank you!!! I love this plaque it's amazing. I got this for my brother for Christmas and he said out of all his gifts this was his favorite! Fast shipping. Great business! Going to make a great Christmas gift!!! Set Of 4 - Rustic Golf Wood Signs.